There are a number of options for people to borrow funds in today's difficult credit market although none of them are particularly easy to obtain. Banks are continually under pressure to lend funds, but unsecured loans are not always available unless you have a very large income and a perfectly clean credit history. Property owners may be able to borrow against their property, but this option is also not available nor suitable to everyone. If you are looking for a short term loan, logbook loans fill a gap in today's difficult lending market and are available to car owners even if they have a bad credit history. As an alternative to some more traditional lending markets, obtaining a logbook loan is a straightforward and quick process, and may well offer a suitable lending product to the vast majority of car owners. 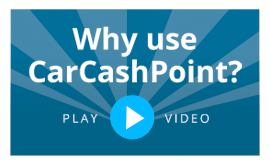 Although Logbook lenders are currently regulated by the OFT under the Consumer Credit Act, from April 1st 2014 will be regulated by the Financial Conduct Authority, this will help to eradicate unscrupulous lenders from the industry and is a move that CarCashPoint wholeheartedly welcomes.